Can your most difficult moments be the ones that shed the greatest light in your life? 46 courageous visionaries say YES! You’ll connect with the authors Christine Kloser has brought together in this timely book, as your friends immediately, because they hold nothing back. 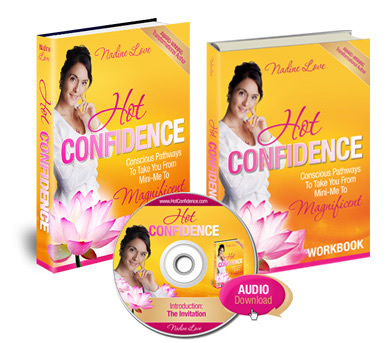 Share their straight-from-the-heart stories and you’re openly invited discover how to transform your toughest times into the greatest gifts and blessings in your life, even if you don’t think it’s possible. 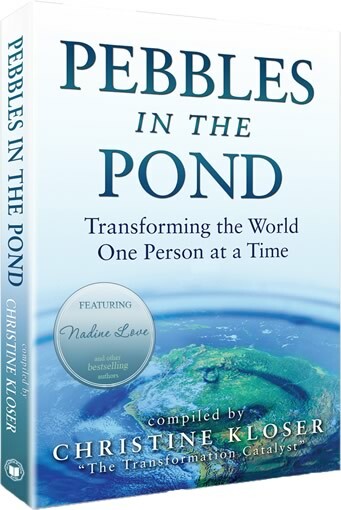 Through their wonderful, individual, distinctive writings, you’ll be inspired by the power of how one transformed life causes ripples that reach out into the world – just like a “Pebble in the Pond” – and you’ll be moved to discover what your pebble is so you can create a wave of positive change in your life, too! 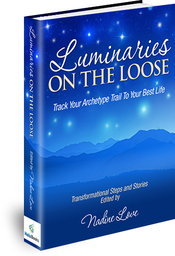 Read this book and be inspired by a small body of determined spirits… they are indeed helping to shift the course of history through their own transformations and how they choose to live their lives every single day. They look forward to sharing the journey with you. 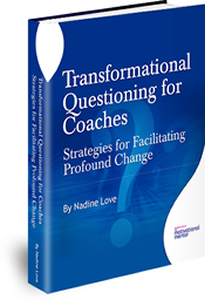 Contributing Authors include Sonia Choquette, Robert Allen, Arielle Ford, Marci Shimoff, Christine Kloser with Nadine Love. 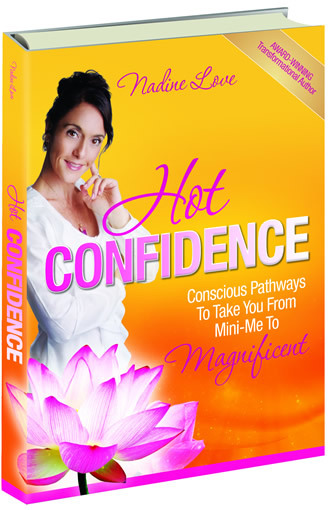 Join bestselling authors Sonia Choquette, Robert Allen, Arielle Ford, Marci Shimoff, Christine Kloser with Nadine Love and visionary authors from around the world as they share their own touching, amazing, and deeply inspiring true stories of their trials, triumphs, and ultimate transformations. Your special opportunity to hold hope, inspiration and love in your hands, and find personal answers to your inner challenges.